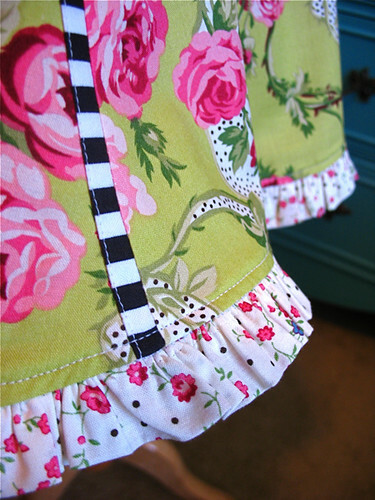 Something fun to try - Stop staring and start sewing! 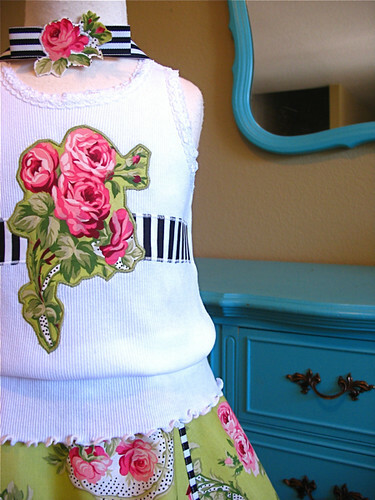 I was looking at Kay Whitt's blog and she's in the process of making some new patterns. They are gorgeous and she just keeps coming up with these darling ideas! I'm really liking her blog because she really encourages readers to try new things and has some great ideas and techniques that make it less intimidating for beginners. Just be sure you read it with a Texas accent or it will sound all wrong in your head. Anyway, she's got this dress she made using these gorgeous Flirt fabric and I just had to put something together with them. 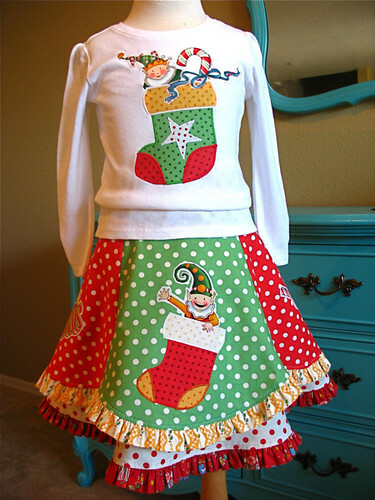 I decided to use my Insa skirt pattern from Farbenmix (still trying to set up an account with them) which I used in the Christmas skirt at the bottom of this post. I just decided to use the bottom layer and when I got it cut out I started thinking it would be fun to spruce up the seams so I did! I cut enough striped strips (say that 5 times fast) to go between each panel. 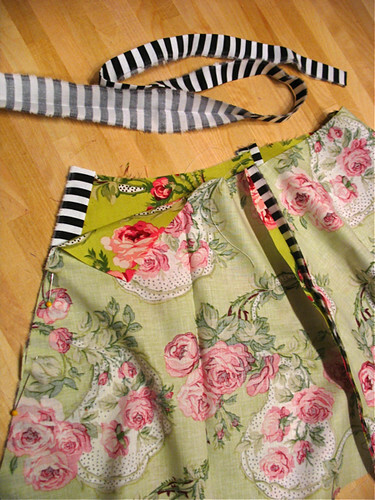 They are 1.5 inches wide and I made enough for 4 strips that are 12 inches long (size 4 skirt). I folded them in half and then sandwiched one between the two panels I was stitching together (I used 1/2 inch seams). I hope this picture helps. I pressed the strips to the side and topstitched them down. 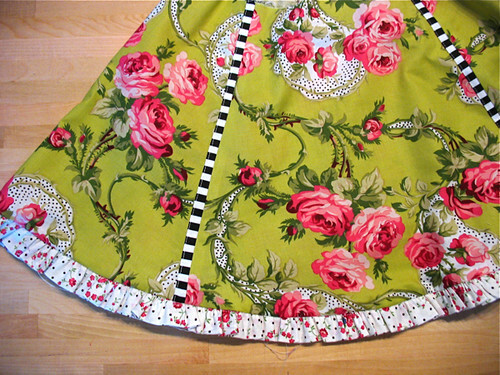 Then I added the ruffle. Looking sharp. Here's a closeup of the finished hem. Here's the outfit I ended up with. I made a little headband to go with it. Cute! I got the tank top at Walmart and they have lots of great colors and they're only 3 bucks each! And here is the finished Christmas outfit. I used the bottom half of one of the big panels (I'm working on something with the top half) It was a lot of work with all the appliques but lots of fun! Joey's back from his fishing trip so I gotta go look busy and come up with an actual dinner because, unlike the kids, he doesn't think popcorn is dinner. Thanks for stopping by!